As a Yoga Alliance ERYT500 RPYT & YACEP, Martha has reached the highest tier recognized by Yoga Alliance for Certified Registered Yoga Teachers. She is a sanctioned provider of required continuing education for Yoga Teachers in good standing with Yoga Alliance. In addition to being a Registered Prenatal Yoga Teacher she is also sanctioned to provide Prenatal Yoga Teacher Training to Certified Registered Yoga Teachers. 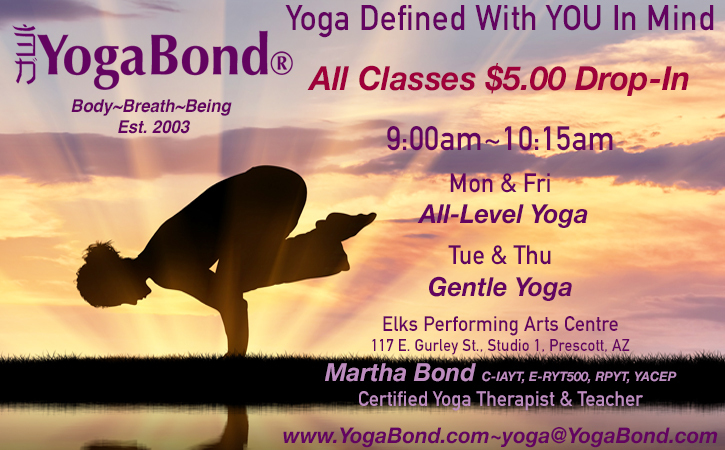 As an American Council on Exercise Certified Personal Trainer, Group Fitness Instructor & Health Coach, many of Martha’s Yoga offerings meet continuing education requirements for fitness professional as well. A chance encounter with a Yoga class at the age 10 gave Martha her first inkling that there was more than meets the eye to the human experience. Yoga’s influence ebbed and flowed over the years. Until what began as Yoga practice aimed at improving the physical, developed into a journey of self-actualization that continues today. While living on the enchanted island of Okinawa, Japan, in 2003 Martha answered the call to assist others along their path of Yoga. She earned her 200hr certification through Shanti Yoga and certified in Sport Yoga through NESTA. Her purpose revealed, she went on to earn certification as a Pre-Postnatal Yoga Instructor through Aura Yoga of the UK. In addition she became an ACE certified Personal Trainer, Fitness Instructor and Health Coach as well as completing an Ashtanga Yoga Teacher Training in Tokyo, Japan. She founded YogaBond® in 2004. Focusing on meeting peoples individual needs by providing a complete Yoga practice aiming towards optimal health and wellness in body & being. Narrowing her focus on Yoga’s application in therapeutics, she successfully completed her 500hr RYT certification in Yoga Therapy at the Ananda Seva Mission in Santa Rosa, CA. She is also certified in Thai Yoga through The White Lotus Yoga Foundation in Santa Barbara, CA and Thai Yoga Massage through The Thai Traditional School of Medicine at Wat Po in Bangkok, Thailand. In 2017 by meeting the requirements set by the International Association of Yoga Therapist, she is now recognized at a Certified Yoga Therapist. Martha continues to develop her scope of practice by studying with many of today’s modern masters. Since 2007 she has attended 40+ Yoga conferences and festivals in many capacities. As an attendee, work exchange volunteer, event coordinator, vendor coordinator, production manager, sponsor coordinator and presenter, Martha has had unique exposure and access to the Yoga Community. She consistently logs more that 30 contact hours of continuing education each year. Over the course of her more than 16 years of teaching experience, she observed how different people respond to different styles and practices of Yoga. This lead her to deeper inquiries, and the drive for further understanding of these opportunities and approaches. She continues studies in Yoga philosophy, Ayurveda, asana, anatomy, physiology and body mechanics. What resonates most deeply with her is that there truly is a proper and attainable Yoga practice for everyone. Subsequently, Martha’s offerings are a compassionate blend of knowledge, experience and skill. IAYT-International Association of Yoga Therapist – Since 2009.